Cinco Ranch was once a working cattle ranch combined with a rice farm. Located on Buffalo Bayou, the ranch was the result of five families partnering to form an outfit called Cinco Ranch. Cinco is the Spanish word for five. The Cinco Ranch Venture conglomerate bought the land in 1984. They planned to develop the ranch into a housing community. It was designed by Newland Communities, and it opened in 1991, covering 7,200 acres 25 miles west from Houston. Most residents commute to the city for work. Cinco Ranch Real Estate is home to 8 school and several recreational facilities with plenty of green spaces. A complete history is found here. Cinco Ranch Homes are provided with many parks within the community. The Bayou Nature Trail is a beautiful walk along the Buffalo Bayou’s preserved woods. The Lake Front Parks are located along the edge of the 14 acres of South Lake. Here the Cinco Ranch Home Buyer can enjoy water sports such as sailing, fishing, and paddle boating. 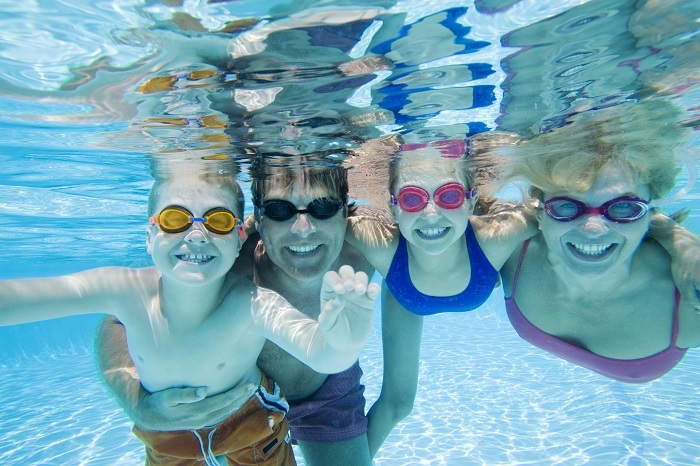 Kids of all ages will love the water park located on the Cinco Ranch Properties. Everyone is invited to cool off with the two water slides, large pool, and kiddie splash area. All of the onsite recreational areas are listed here. Real Estate in Cinco Ranch offers much for its residents to enjoy. Homes for sale in Cinco Ranch can enjoy the countless amenities offered by the community. Many residents enjoy the Beach Club Pool where they have recreated a shoreline experience. The Beach Club Park has paddle boats for the lake, tennis courts, and jogging trails. There is even a jungle gym for the little ones. It’s also a great place for picnics. 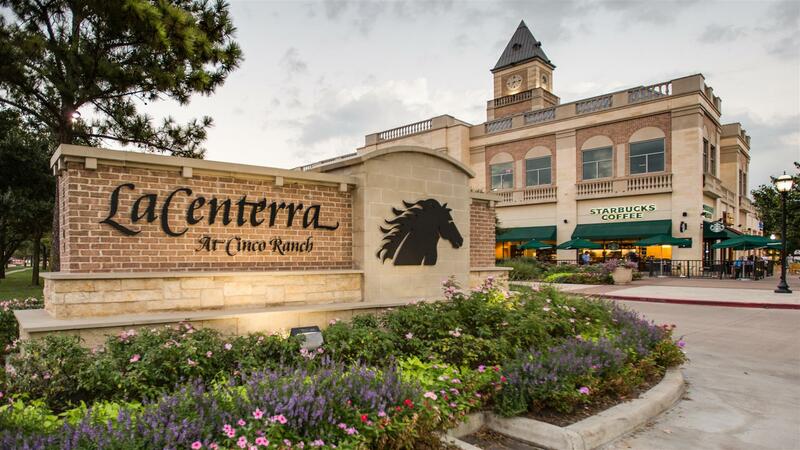 As your Cinco Ranch Realtor I can point out the shopping and dining opportunities available at La Centerra. Here you’ll find modern shops in a historic small town setting. A list of all the stores and boutiques is found here. Open Monday through Saturday from 10am to 9pm and on Sundays from noon until 6pm LaCenterra making shopping in Cinco Ranch pleasurable and convenient. Those living in Cinco Ranch TX Homes are able to participate in several annual events. Events such as the Annual Cinco Ranch Father’s Day Weekend Fishing Tournament in June are eagerly anticipated. Held on the Beach Club Lakes, this event includes prizes for the most fish caught. 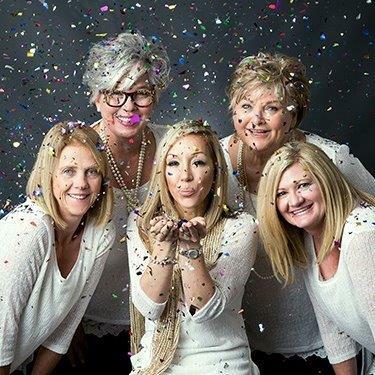 As your Cinco Ranch Real Estate Agent I can help you find a list of all events, or you can visit the Events Calender here to see a complete month by month calendar of events. It lists all events, classes, and activities being held near the Cinco Ranch Homes for sale. It also allows you to see what spots are open for Lake House rentals where you can hold private parties.